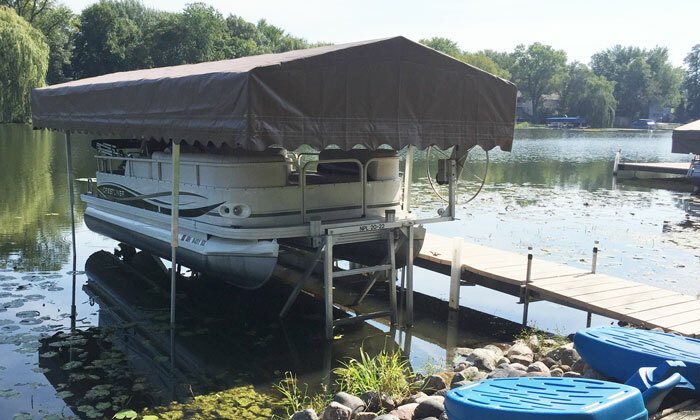 In Detroit Lakes, the heart of Minnesota lakes country, we appreciate what it means to own watercraft, and Beach King canopies are designed and manufactured to protect your investment. A boat or pontoon is a major asset and an integral part of what makes lake life so special. Experience has taught us to expect the unexpected as far as weather is concerned; sun, wind, rain and hail can cause major damage to your watercraft and throw a wrench into your plans for fun and relaxation on the water. With one of the deepest canopy frames on the market, the Beach King canopy is the preferred choice to cover and shield your boat from the elements. From the 12-foot PWC to the 32-foot standard, and from the 38-inch deep to the 62-inch deep Tower Style canopy (which is zippered up the back to allow the tower to slide in with ease), Beach King has what you are looking for and can customize it to suit your needs. Our canopies, available in a huge selection of colors, are made from 18-oz superior quality vinyl or Weather Max fabric–a premium woven polyester fabric made in America. Weather Max is ideal for marine conditions because it is particularly durable, UV, water, and mildew resistant, and will remain visually stunning and structurally sound for years to come. Beach King canopies feature quick-fastening bungee straps for speedy installation or removal! 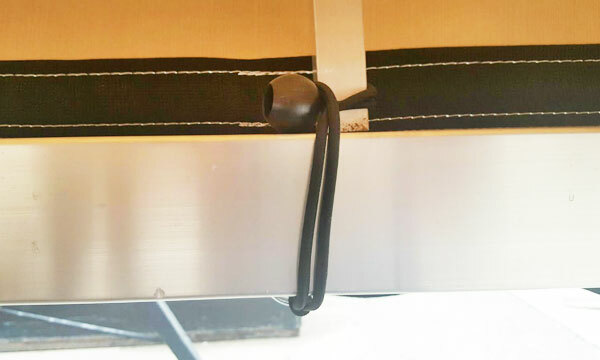 Each corner is adjustable with a simple screw set, and the canopy frames can be disassembled for easy transporting. Life on the water, after all, was meant to be relaxing! Move over to Beach King!